Snapchat and Facebook are to trial a new service to help victims of cyber-bullying after a campaign by Prince William. 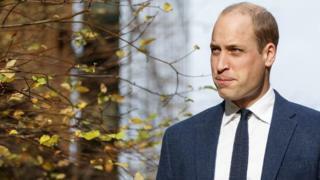 The Duke of Cambridge said "sorry" to two children who had experienced bullying online in the 18 months that his charity had been working on a plan with companies like Facebook and Google. William's charity, The Royal Foundation, also worked with other children's charities and young people, to put together the advice, aimed at 11 to 16-year-olds. Cyber-bullying is bullying which takes place online through electronic devices, like phones or computers. William wasn't totally happy with the social media companies though. He said he was disappointed that the companies couldn't agree on a standard way of reporting abuse online - this means that whatever app or website you were using, the way to report abuse would be the same. The hope is that this would make it easier to report abuse, and help people feel safe online. You can read the advice from the 'Stop, Speak, Support' plan here.